Spirits were dampened in the immediate aftermath of the Detroit Pistons winning their second straight NBA World Championship 25 years ago this week with the news breaking that Pistons Hall of Fame point guard, team captain and just-elected Finals MVP Isiah Thomas was on the verge of being called in front of a federal grand jury investigating a multi-million dollar mafia gambling ring to answer for his alleged ties to the mob. The story was broke by the Detroit media (specifically by award-winning CBS-affiliate reporter Vince Wade) on June 15, 1990, literally hours after Thomas and the Pistons claimed a second NBA title in a row on national television. Although Thomas avoided being charged in the eventual indictment that resulted from the proceedings and wasn’t a target of the probe, the baby-faced floor general, a 12-time NBA All-Star selection and Motor City sports icon, was investigated by the FBI for allegations of point-shaving, holding frequent mob-operated casino nights at his posh mansion in the suburbs and his suspicious check-cashing activity through a chain of grocery stores owned by his then-best friend and next-door neighbor, Emmet Denha, a convicted Detroit mafia associate and Godfather to Thomas’ son, Joshua, born in 1988. Thomas’ gambling habits and mob connections were so worrisome to those close to him, his childhood pal and Pistons teammate Mark Aguirre (3-time NBA All-Star) requested a meeting with the FBI on a game day in the midst of the club’s playoff run in May 1990 to ask for help from the feds in reeling in the dynamic hoopster everyone called “Zeke” and curbing his risky habits and penchant for keeping questionable company. Brought in front of the grand jury later that summer,Thomas admitted to participating in a few small-scale dice games and cashing hundreds of thousands of dollars of personal checks made out to himself at Denah’s stores, however, maintained the money was strictly for his wife’s monthly allowance and nothing of an illegal nature. Born and raised in Chicago, Thomas, 54, was chosen No. 2 overall by the Pistons in the 1981 NBA Draft, less than three months removed from leading Indiana University to an NCAA National Championship and for the next 13 years became the face of the Pistons franchise, a team soon to be anointed the Bad Boys for its rough and rugged style of play. In 1989, the Pistons captured the organization’s first world title, sweeping the L.A. Lakers 4-0 in the NBA Finals. It was around this time that an FBI inquiry was launched into gambling and racketeering activities being conducted by notorious Detroit mobster Vito (Billy Jack) Giacalone, which included investigators looking into Thomas and his links to Billy Jack’s crew. Billy Giacalone (d. 2012) and his older brother Anthony (Tony Jack) Giacalone (d. 2001) were the day-to-day overseers of the mafia in Detroit from the 1960s into the 2000s, suspected of ordering or carrying out dozens of gangland murders dating back to the 1940s. Convicted of racketeering offenses in 1983, Billy Jack was just getting out of prison when the Pistons were becoming a title contender, not to mention the hottest ticket town. Naturally, the FBI began keeping a close eye on him again, surveilling his daily routine and monitored his business dealings. 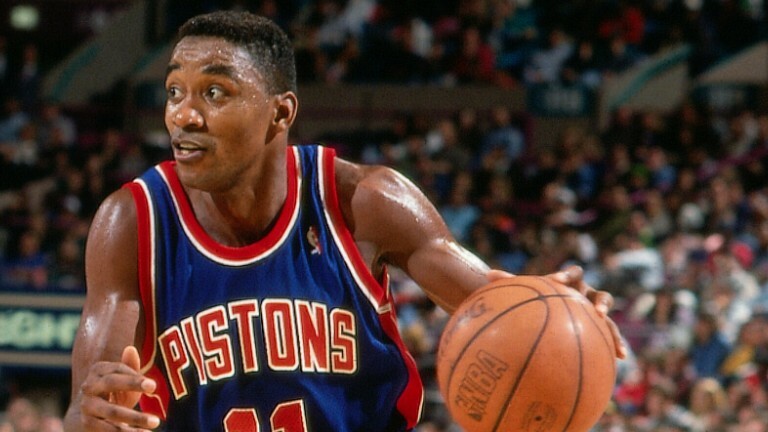 Some of those business dealings intersected with the Pistons’ superstar player, Isiah Thomas, at the very least, tangentially. FBI agents began hearing of Giacalone-sponsored gambling parties being held at Isiah’s house in Bloomfield Hills, a blueblood community located squarely between downtown Detroit and the Pistons’ digs in northern Oakland County, first in Pontiac at the Silverdome and then in Auburn Hills at the Palace. Federal court records show Thomas allowed Giacalone, whose crew he met through Denha, to stage bi-monthly high-stakes dice and card games inside his leafy red-brick estate off Lone Pine Road, directly to the right of Denha’s Spanish-villa style mansion on the adjoining piece of property. According to FBI files related to the Giacalone case, informants told the Bureau that Thomas was a major gambler, had helped the Giacalone crew manipulate point-spreads in Pistons games and washed his gambling money (wins and losses) through Denha’s supermarkets. Denha would go on to plead guilty to letting Billy Giacalone and his gangster pals launder seven million dollars of ill-gotten gains via his grocery store chain and serve six months in prison. It was an FBI-ordered IRS audit of Denha’s markets in early 1990 that unearthed the loads of personal checks Thomas had cashed, raising a red flag and bringing him further into the sights of the government. The Giacalone crew was well-known for running a “floating” high-rollers-only backdoor casino for decades. By the 1980s, a key component to these one-night events, was the location, securing the mansion of a local celebrity as a draw, a lure for big fish. And they came like sharks to blood in the water. Not only did Thomas host these speakeasy-like backdoor casino nights, so did world boxing champion and hometown prize fighting hero Tommy (the Hitman) Hearns, among others.These events attracted all kinds of people – mob capos, drug kingpins and professional thieves rubbing shoulders with lawyers and doctors, judges and politicians. 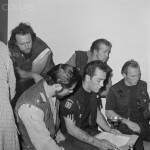 The Capital Crew reported to Billy Jack’s son and ace protégé Jack (Jackie the Kid) Giacalone, reputed to be the new boss of the Detroit mob today and at that time, a recently-inducted soldier and sometime “acting captain” of his dad’s regime. The younger Giacalone and Hilf were longtime best friends and Hilf acted as Jackie the Kid’s top advisor until the day he died of kidney failure in the winter of 2014. Other members of the Capital Crew (1970s-1990s) working under Salem and Hilf, were Frank (Baldy) Sarkesian, Charles (Stash) Maloney, Edward (Skinny Eddie) Samona, Theodore (Teddy Socks) Tsakaris, Frank (Frankie Stretch) Raymond, Paul (Paulie the Jew) Brussellof, Michael (Superfly) Kristoff and John (Happy) Elias. All spawning from non-Italian heritage, they ran a variety of gambling rackets for the Giacalones through the 1970s, 80s and 90s and were darn good at it, generating more money for the Detroit mafia than most of their traditional Italian-crew counterparts. Thomas and several of his Pistons teammates wagered giant sums of cash on craps at the gambling parties he and Hearns hosted between 1985-1990, with Thomas and NBA vet James Edwards, the starting power forward on the 1990 repeat-title squad, finding themselves indebted to Salem, Hilf and the Giacalones for half a million dollars apiece, per FBI informants. More than one informant told the FBI that Thomas and Edwards agreed to pay back their debt to the mob by “fixing” at least two Pistons games in the 1989-90 campaign. On December 16, 1989, with the Pistons favored by three points, Thomas pulled himself out of the lineup at Golden State within minutes of tipoff – not allowing for adequate time to see a shift in the spread – and Detroit lost to the Warriors by 12. Two weeks later, on December 29 at home against Milwaukee with Thomas on the floor, the Pistons were 10-point favorites, but they let a tie game entering the fourth quarter get out of hand and the Bucks pulled away to pull the upset with a 14-point victory.Thomas delivered one of the worst performances of his career on that particular night, shooting 1-of-8 from the field en route to a paltry two points and two assists. Edwards scored four and 17 points, respectively in the pair of contests. Hilf, who often sat courtside at Pistons games, was in attendance for the loss to Milwaukee. He and Thomas began quarreling over payouts, per one source. According to sources within the Pistons organization at the time of the alleged fixes, a number of Pistons players spoke amongst themselves questioning Thomas’ motives on the two nights in question. A source intimately familiar with the situation, claims at least one player confronted Thomas about his concerns. Fast forward almost six months and Mark Aguirre, Thomas’ closest friend on the team, someone he went all the way back with to when they were aspiring teenage hoopsters on the blacktops of inner-city of Chicago, contacted the FBI in the middle of the 1990 Eastern Conference Finals to voice his concerns about Thomas’ gambling and involvement with dangerous mob figures. Aguirre met with FBI agents for lunch at Deli Unique in West Bloomfield on his way to play in Game 5 against the Chicago Bulls some 15 north at the Palace hours later and discussed the issue. Thomas met twice himself with the FBI at his attorney’s office to answer questions about his mob ties and denied any impropriety. An NBA league investigation was undertook and quickly closed with no punishments to dole out. From Day 1, Thomas and Edwards have always steadfastly denied the allegations of shaving points (the 1997 book, “Money Players – Days & Nights Inside The New NBA,” broke the story about the FBI and NBA investigating Thomas’ possible participation in manipulating point spreads). The grand jury closed up shop in the fall and as rumors of a pending RICO indictment circulated, Emmet Denha approached the FBI, expressing fear for his life and Thomas’ safety, according to one federal document. The Giacalone brothers were both prime suspects in the infamous Jimmy Hoffa disappearance and murder in 1975. Jackie Giacalone is suspected of taking part in at least one 1980s gangland slaying. In 1991, Billy Giacalone, Jackie Giacalone, Emmet Denha, Allen Hilf and Freddie Salem were indicted on gambling and racketeering charges and all served prison time. Salem, also an accomplished, nationally-known pool hustler, died of natural causes in 2009. Denha, a native Iraqi, is still a prominent businessman in the Metro Detroit community. The allegations regarding the 1990 Pistons isn’t the only reputed point-shaving conspiracy Hilf and the Giacalone crew would be implicated in, but never charged with. 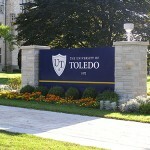 In 2009, a federal indictment was filed in a game-fixing case related to the basketball and football programs at the University of Toledo, ensnaring two Detroit mob associates, Mitchell (Steady Eddie) Karam and Gary (the Cigarette) Manni alongside the former college athletes they paid off – they both pled guilty, as did seven former players. Per an internal Michigan State Police memo, Karam and Manni worked under Hilf and Jackie Giacalone, whose names and voices were heard on court-authorized wiretaps talking about the Toledo game-fixes. Last month, Thomas was named president of the WNBA’s New York Liberty. He’s had multiple head coaching and general manager positions in the NBA since his 1994 retirement. Aguirre and him remain tight. The current status of Thomas’ relationship with Denha is unknown.